VIETNAM HAS LONG been known as a backpackers' paradise. Its vibrant street-food culture, a host of colourful heritage sites and breathtaking scenery offer plenty to adventure-seekers on a budget. But this is beginning to change. Once-sleepy beach towns are transforming into five-star resorts. For better or worse, city streets once filled with hostels and homestays are being replaced with one-stop shopping centre/hotel complexes. Vietnam's tourism and hospitality industries have expanded rapidly in the past few years. Alongside on-trend international hotspots such as Iceland and Mongolia, Vietnam was in 2017 identified by the United Nations World Tourism Organisation as one of the world's 10 fastest-growing travel destinations. During the first half of 2018, Vietnam welcomed 8 million international visitors - an increase of 27.2 per cent from the previous year. Overall tourism revenue was an estimated 312 trillion dong (US$13.4 billion) - 22.5 per cent more than in the first half of 2017. The government has ambitious plans, aiming for 20 million international visitors per year by 2020. 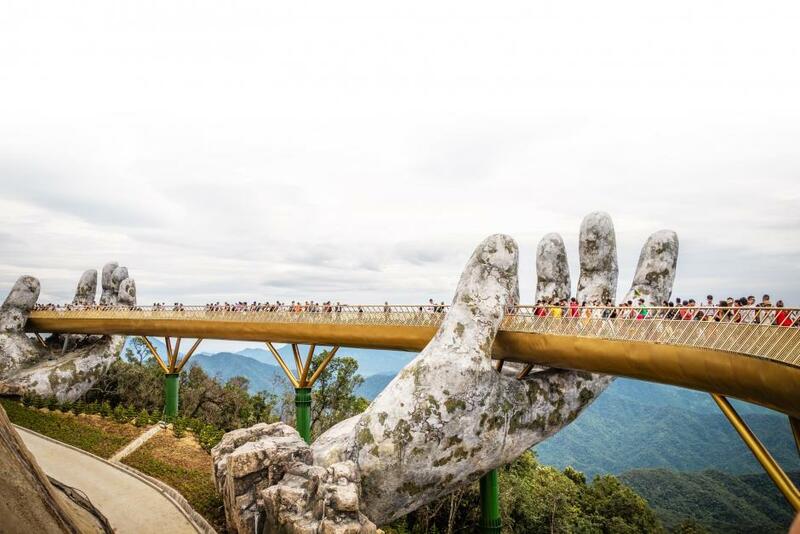 In turn, it aims to develop the tourism industry into a sector worth US$35 billion annually - one that would be 10 per cent of Vietnam's GDP. This growth has been driven partly by a spike in South Korean visitors, with knock-on effects in the tourism, hospitality and aviation sectors. Last year, mainland China accounted for the most visitors to Vietnam, with 3.4 million arrivals. South Korea was not far behind, with 3.16 million - an increase of 46.5 per cent from the previous year, according to local media. Flights from Vietnam to South Korea accounted for a remarkable 44.5 per cent of the country's outbound traffic in 2018. By comparison, China-bound flights made up 14.8 per cent in the same year, according to OAG Schedules Analyser, a flight data website. Many South Koreans fly the route to visit Hoi An, a resort town about 30km from Da Nang. 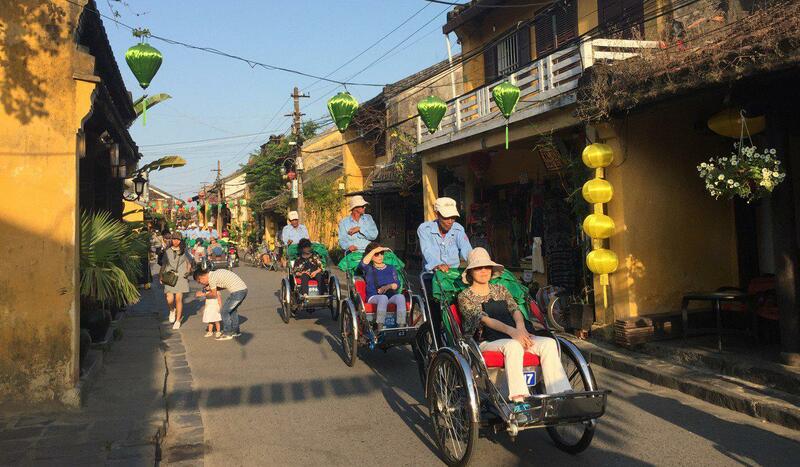 According to Vietnamese reports, more than 240,000 South Koreans visited Hoi An last year, an increase of 70 per cent from 2016. They now outnumber the 200,000 mainland Chinese visitors arriving annually. Vietjet prides itself on having served more than 2 million Koreans, many of whom were travelling overseas for the first time. In December, the budget carrier announced a new route linking Seoul and Phu Quoc island, another destination attracting South Koreans. "The north of Phu Quoc island caters to Koreans, with resorts built specifically for this market," said Diane Lee, a writer who teaches English to Korean students in Hanoi, the capital city of Vietnam. "Most Koreans never leave their resort, which is equipped with a medical centre and golf course." After years of watching TV travel programmes about Vietnam and seeing social media posts featuring Vietnamese food and culture, Yoo chose to visit Hanoi. "Many of my friends have visited the country for their holidays," the office worker, 29, said. "I heard a lot of good things about it and decided to check it out." Once on the ground in Hanoi, Yoo sought out many local sights - only to be surprised by the sheer number of Korean signs, barbecue restaurants, K-beauty shops and coffee chains in Hanoi. Other Korean travellers described a similar experience. As in many Asian countries swept up by the so-called K-wave, South Korean culture has begun to exert a broad influence on Vietnam's urban environment. Korean retail brands, cafes and eateries are popular, and cater to local populations as well as the growing influx of Korean visitors. "Young Vietnamese are enamoured with Korean culture - even more than American culture," said Mark Gwyther, founder of MGT Management Consulting, a tourism consultancy in Ho Chi Minh City. "K-pop musicians sell out large arenas. Korean soap operas have been popular on local television for years. Korean movies are in theatres every week. Korean barbecue and noodle restaurants can be found all over the major cities and even appear in smaller cities." Gwyther also noted the most popular person in the country is Park Hang-seo, the South Korean coach of Vietnam's national men's football team. And Korean is among the most popular foreign languages for Vietnamese students to learn. Chinese visitors, on the other hand, have not been as warmly embraced. Vietnamese media reported two years ago that the coastal city of Da Nang would publish a booklet in Chinese on do's and don'ts for tourists, after reports surfaced of mainland tourists and tour guides behaving badly. Gwyther said some of the mistrust and hostility towards the Chinese stemmed from historical conflict between the two countries that has flared up in recent times. Four years ago, China moved an oil rig into Vietnam's territorial waters and several Chinese-owned factories in Vietnam were burned down, with protests resulting in the death of at least 20 Chinese expats. "China restricted tourists coming to Vietnam, which really hurt the tourism industry," Gwyther said. "South Koreans are by far the largest foreign investors in Vietnam with over US$65 billion in registered capital in the country," he said. "Samsung has opened several enormous factories that manufacture phones and electronics. Hanoi and Ho Chi Minh City both have Korea towns where a significant amount of South Korean expats live." Chobin Hwang, the Korean language editor of the The Saigoneer, which also runs the largest Korean online guide to Ho Chi Minh City, said many younger Korean travellers forego a "Korean experience" while in Vietnam. But older travellers - often with larger budgets - still expect access to Korean services. "Those in their 40s and above look for Korean food and services during their stay," Hwang said. "People who are my father's age don't travel a lot and need tour guides." It has become second nature for Vietnam's hospitality industry to offer Korean-language options. "Companies provide Korean brochures and Korean language menus," Hwang said. "Travel agencies describe their information in Korean, and their staff can speak Korean fluently." For Yoo Hyong-rok, Vietnam allowed him to broaden his horizons while also finding a taste of home.